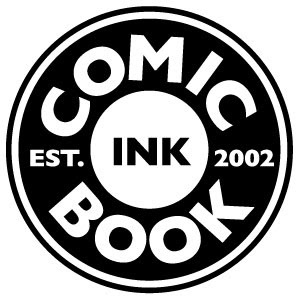 As you may have heard, the Washington comic book shop Comic Book Ink will be closing. The store has been openly struggling for a year now, and can't really continue any longer. I've never been to Comic Book Ink, nor have I ever met owner John Munn. I don't know much about them, one way or another, so I don't have any skin in this game emotionally. But I still find this a bit sad and hugely disappointing. A few years ago, I attended a comic retailing panel at a convention. Chuck Rozanski of Mile High Comics was one of the panelists, and he flatly suggested that anyone thinking of opening a comic shop should drop the idea now before they sunk any (more) money into it. The cynic in me realizes that he could have just been trying to dissuade anyone from being one of his competitors, but I don't think that's the case. Everything I've ever heard about comic retailing is that it is an insanely difficult business even in the best of times and, given the number of shops I've seen close their doors over the years, I don't doubt that. There are several issues that I think lead to that difficulty. First is the size of the market; we're talking about something like 150-200,000 people nationwide. That's 4000 people per state if it breaks down evenly (which I'm sure it doesn't). That's only double the number of people THAT WORK IN THE SAME BUILDING THAT I DO! For the whole state! Sure, there's the potential for more customers of comics in broad terms, but given what the biggest publishers are generally limiting themselves to in terms of genre, style, tone, etc. (this is retailers' second difficulty, by the way) that's not likely to draw in many more people any time soon. I've spoken to DC's inability to even consider a potential audience twice recently. Although the numbers that get bandied about vary -- depending on industry, time period covered, etc. -- most studies show that a majority of new start-ups fail pretty quickly after a formal launch. And though you might not think of a comic shop as a start-up, that's effectively what they are. They're not clubhouses or hang-outs or libraries, they're businesses. Usually owned by a single individual, maybe two. With a very few exceptions, they're not chains. And, ultimately, they often run into the same basic problem that most start-ups run into: the people running them don't have enough business knowledge and/or experience. I don't mean that in a disparaging or derogatory way. There are as many comic shops as there are -- which isn't nearly enough in my opinion -- because people opened them out of a love of comics. Profit margins on comics are pretty slim for retailers (another difficulty they face) and a lot of good business folks likely don't open shops because of that. So we're left with people who love comics opening shops, regardless of what business acumen they have. Comic Book Ink has been more than Munn's livelihood; it's been his life. Reading through his farewell letter, it's clear that this was not just a job for him. He repeatedly apologizes to his customers and the industry at large. He notes that his first bout of tears came not at his own failure, but at the disappointment he would see in his regular customers. I was going to let each and every one of you down in such a way that I have fought against with all of my might. I was going to have to close the store. I can't begin to tell you how many of your faces rushed by me in my mind. Seeing the hurt in your eyes. I understand that Munn is going to get emotional over this. It's been the past ten years of his life, and it's going away. He has every right to break down into tears. But that his first thoughts were about his customers suggests that he thought of Comic Book Ink less like a business and more like an informal fraternity. Now, to be fair, ten years as a comic book retailer is pretty respectable, especially considering he started not long after the speculation bubble burst in 1997 and weathered the heavy financial storms of the Great Recession which began in 2008. That Munn was able to stay afloat that long is commendable to be sure. And while your business is dependent, at least in part, on good customer service and being friendly with regular customers, thinking of them as friends first and customers second is, unfortunately, going to lead to problems. Munn noted that the bank was very good with their flexibility, allowing him to over-extend his credit repeatedly knowing that New Comic Day was tomorrow and he would get an influx of cash. You can tell he had a friendly relationship with his loan officer, and that type of positive relationship is great for making businesses like Munn's operate. But, at the same time, the bank eventually had to make a business decision on Munn's account. It's that type of thinking that keeps a business running; allowing people some slack to account for unexpected issues, but still running the business as a business. As I said, I don't know Munn or how he ran Comic Book Ink. I don't know the specifics of his situation, so my ramblings here may or may not be fully applicable to him. But I know that I have seen plenty of comic shops run their stores to closure by not running it like a business. Given the timing, I can't help drawing a connection between this and the apparent slow-motion shuttering of the New Orleans Times-Picayune. They make me sad, both for the individuals involved and for the broader implications of Something Else That's Good Going Away with only the unknown to replace it. It's kinda strange, because I've noticed in my area, the comic shops who treat their customers like friends (without giving away free stuff, of course) are the ones thriving, such as Cloud City and Heroes Your Mom Threw Out. They interact with the community and hold events to draw more non-comix fans in. I dunno, I guess that formula doesn't work for everyone. Jared from Heroes explained to me, that when they throw an event in Elmira Heights, it gets a lot more attention because nobody is doing squat. And when they promote an artist, it's not just s store promoting it, it's your friend promoting it.